Bill represents businesses and individuals facing government investigations or prosecutions involving alleged fraudulent or wrongful conduct, including those suspected of violating New York's tax, health, and criminal laws and the laws governing licensed professionals. Since joining Hodgson Russ in late 2010, he has secured the exoneration of a New York businessman wrongly indicted for tax fraud; successfully defended a national company under investigation by the New York State Office of the Attorney General for alleged tax law violations initiated by a tax whistleblower; and has been retained as a consultant in tax whistleblower cases by counsel for both whistleblowers and companies under investigation. 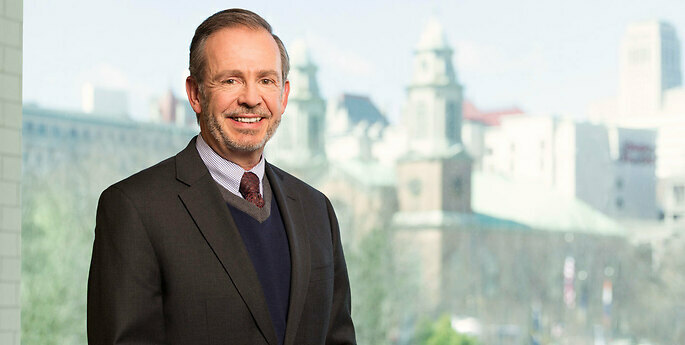 His practice includes the representation of taxpayers involved in state tax litigation, the representation of physicians and certified public accountants (CPAs) involved in licensing or disciplinary matters and the representation of health care providers under investigation by the New York State's Office of the Attorney General and Office of the Medicaid Inspector General. He both prosecutes meritorious whistleblower cases and defends those accused of violations by whistleblowers or the government. Bill has more than 30 years of government experience and has held top-level government positions with New York State agencies responsible for tax enforcement and for investigating and prosecuting health care fraud, physician misconduct, complex financial fraud and official misconduct. Prior to joining Hodgson Russ, Bill was the deputy commissioner for tax enforcement at the New York State Department of Taxation and Finance, where he served as the state's top tax enforcement officer in charge of approximately 2,500 auditors, collectors and criminal investigators. In the health care area, Bill served as the deputy attorney general in charge of New York's Medicaid Fraud Control Unit, the largest state law enforcement unit in the nation dedicated to fighting Medicaid fraud, which was, during his tenure, involved in multiple major national qui tam whistleblower actions. In a prior appointment, Bill served as director of the Bureau of Professional Medical Conduct in New York's Department of Health, where he was counsel and chief prosecutor for New York's physician disciplinary board. As a prosecutor, Bill held leadership positions in the attorney general's Criminal Division, prosecuting fraud, corruption and organized crime cases. He also served as chief assistant district attorney in Rensselaer County and as an assistant district attorney in the Manhattan district attorney's office. He has also been an adjunct instructor at Benjamin N. Cardozo School of Law on appellate advocacy and legal writing and at Brooklyn Law School on corporate criminal prosecutions. At Fordham University School of Law, Bill received the American Jurisprudence Award for Excellence in New York Practice. He was a commentary editor of the Fordham Law Review. William J. Comiskey and Timothy P. Noonan Cited in 'Should the MTC Take on a Model False Claims Act?